With population growth, people living longer and increased industrial output, the developed world is becoming aware of the fact that water isn’t the unending resource everyone thought it was. At least, the water coming through most people’s taps isn’t. In heavily populated countries like the UK, water companies are already considering returning treated sewage water back into the rivers, where it will return through the filtration processes to the system for household re-use. Unless these measures are undertaken within the next 20 years, there is a grave risk large cities like London, will begin to find their domestic taps running dry. In countries like Australia, large steel water tanks have been used for over 100 years in the agricultural areas. Without collecting as much of this natural resource as possible during the wet season, through the long dry spells livestock would die, crop output be greatly reduced and livelihoods lost. An arid state in an already dry country, rainfall in Western Australia has been reducing year on year over the last 40 years. Now, with a seemingly continuous reduction in rainwater, greater numbers of homeowners are using steel water tanks in Perth and other large cities, to help conserve dwindling water supplies. Already there is a ban on the use of garden sprinkler systems using the domestic water supply in the Perth and surrounding areas. The ban currently runs from June 1st through August, and if rainwater figures continue to decline this period could be increased. In 2010 there were nearly 50,000 households using water tanks in Perth, the majority of which were basic roof run-off and rainwater collecting tanks. The number has increased significantly since then, with greater numbers of households opting to upgrade their system to include greywater collection, filtration and re-use. Many of the basic regulations governing the use of steel rainwater tanks for the collection and re-use of greywater in domestic dwellings have been drawn up by the Australian government. The finer points are added on a state by state basis, depending on rainfall statistics. 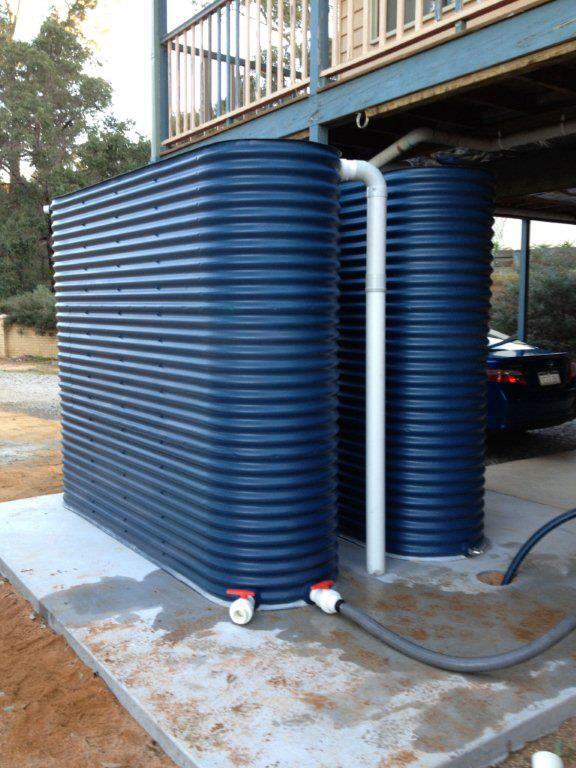 It’s not all doom and gloom, fitting the most basic rainwater tank will quickly recoup its cost in saved water rates. Upgrading to greywater collection systems, which collect rainwater and water from baths, sinks, washing and dishwashing machines for re-use, can save significant amounts of money annually. If you haven’t done so already, make enquiries to Perth companies, like Rainfill Tanks and Curved Roofing Supplies, about fitting water tanks to your home.